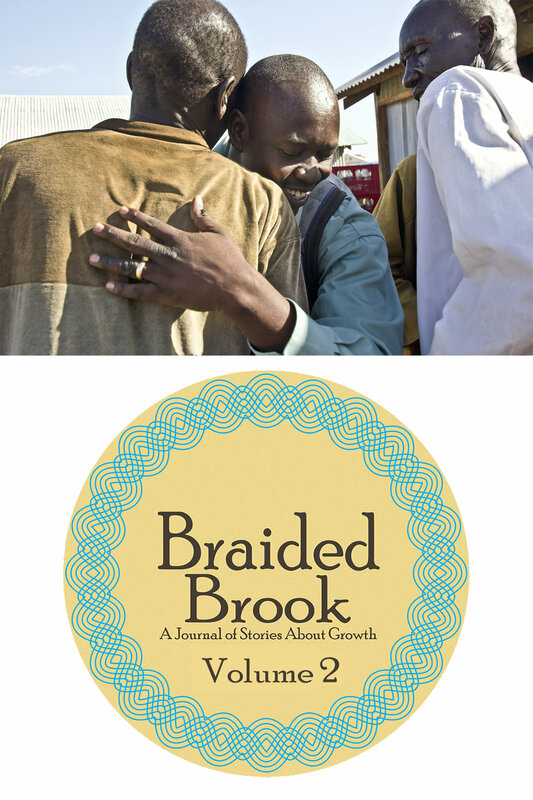 Welcome to Braided Brook, a Journal of Stories About Growth. A day when my entire universe changed. Motion and exploration can be a great balm to grief and so I traveled. By car, by truck, by boat, by helicopter, by train, and my favorite, by plane. In little wrinkles of time, I met, chatted, discussed, and learned from folks whom I did not know before and whom I would never see again. In short order, out popped little Miss Prim, a tiny Chihuahua dog with huge eyes looking straight at me! As soon as I said hello, Miss Prim climbed right out of the bag and into my lap. Miss Prim was a security dog. The lady said she had a severe peanut allergy and Miss Prim could sniff out any peanut danger in the immediate vicinity! I said it must be difficult for her to deal with a life threatening issue. “Oh my, yes!” was the immediate answer. I asked if she carried an Epipen. To my surprise, she had no idea what that was! I never mentioned nor removed the open bag of trail mix in my carry-on bag. Best to avoid possible hysteria at 30,000 feet! The pup did settle right to sleep but the lady snored loud and long all the way to Atlanta! Another time, I was on a flight from Atlanta to LA. As usual, I requested an aisle seat, but as often happens, the airlines play musical seats. In this instance, I ended up with a middle seat. My seat mates soon came down the aisle, a couple I would judge to be in their early 40’s. As they were together, I offered to switch seats however would suit them best. The immediate and emphatic response was “OH NO we do not want to sit together. We work together!” Great, I say to myself. No tension here, and me in the middle! We three settled and each plugged into our own devices, she by the window with a laptop, he on the aisle with a phone and me in the middle with an iPad, and so it went for the first hour of the flight. Eventually, we each seemed to tire of the techie diversion. We each turned the devices down, then off, and then put them all away. For the remainder of the flight (approximately 3 hours), we chatted, discussed, shared, and asked questions of one another. I learned the gentleman was recovering from a second divorce and many of the agonies he was confronting with his son were shared in detail. The lady had just ended a five year relationship and we listened with supportive sympathy and concern to her. Then, feeling it was my turn to share, I told them of my husband’s recent death and expressed some of the pain and grief I had been pushing through. This was a unique moment in time for each of us to share our thoughts and emotions. It was healing and helpful. Therapy in the skies! And then there was the time in Atlanta. While awaiting a connecting flight to JFK, I met a couple from Lafayette, Louisiana. They were on their way to Quebec, Canada to celebrate their 50th wedding anniversary. She was upset because their original flight from Louisiana to Atlanta had been cancelled due to recent flooding in that area. The airline had worked it out, keeping all connections intact and they were here heading to JFK, as was I. They each had a middle seat in different rows and, as she was seated next to me, I offered to switch seats so they could be together. She immediately and emphatically declined! Hmmm… a bit of déjà vu, I say to myself! On the other hand, perhaps 50 years of marriage can do that and, oh yes, they had dated for 7 years before they got married! She chatted (or rattled on nervously) during the flight, saying she hated airports and did not like to fly. I listened and the one-sided conversation seemed to settle her a bit. Later, at JFK, I ran into them again at one of the food outlets. He was very quiet, saying little, and she kept on with her one-sided conversation. Finally I discovered the reason for her agitation... she needed a cigarette! So with pleasant and quiet hubby in tow, they set off to exit the terminal. Following the outdoor nicotine break, they re-entered the terminal and stood in line once again to clear TSA security! Each one of us has challenges and burdens. The path we choose and how we play it out is the tapestry we weave and ultimately leave behind. Click here to subscribe to the Self Narrate E-Newsletter to be the first to hear Braided Brook updates.